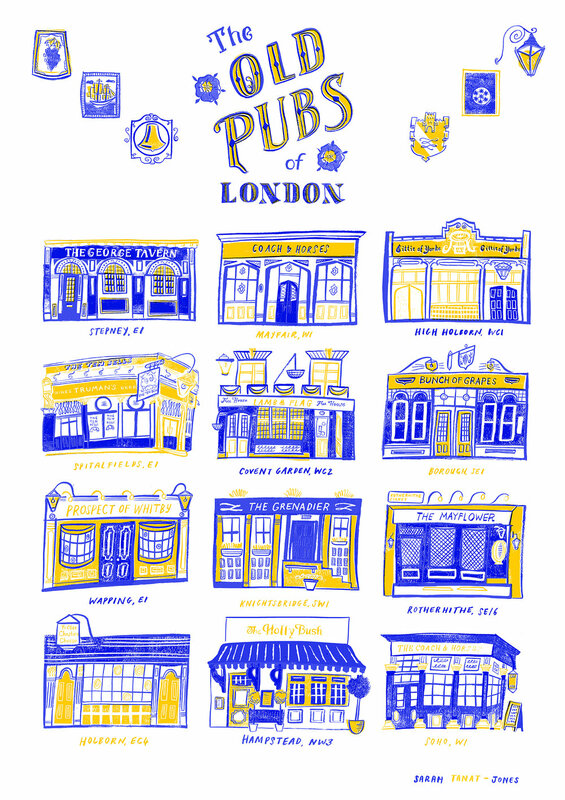 This series celebrates London life in a unique way. Chicken Shops, Old Pubs, Classic Cafes, and Launderettes of London - staples of the high street, they all have a place in our collective urban heart. These bestselling four prints, as well as t-shirts, sweaters and gifts, are available from my Shop.